Mr Pavan Chahl is a Consultant Psychiatrist working in the Locked Rehabilitation Psychiatry in the independent sector. He wanted a simple online CV website for his dedicated medico-legal practice. Mr Narvekar is a Consultant Gynaecologist and a Specialist in Reproductive Medicine and Minimal Access Surgery based in London. He requested a fresh, clean website that would be attractive to his female patients. Our client Mr Julian Norman-Taylor, a leading UK fertility specialist, wanted a website for his new fertility clinic. Professor Cathy Speed is a leading UK sport medicine specialist and requested a website that would attract new patients as well as serve as an online patient information resource. 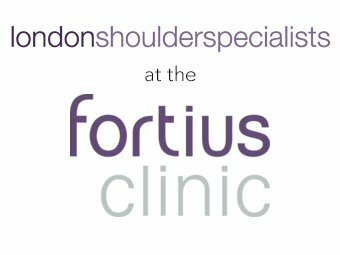 The London Shoulder Specialists are a team of leading orthopaedic surgeons. As part of the Fortius Clinic, the website had to follow the branding of the parent website. London hip replacement expert Mr Simon Bridle specialises exclusively in hip and knee replacements, particularly complex hip revision surgery. Mr Jonathan Webb is a leading knee surgeon who operates at the Fortius Clinic in central London and in Bristol. Dr Ranjan Suri, Specialist Respiratory Paediatrician at the world-famous Great Ormond Street Hospital wanted a fresh, welcoming site for prospective patients and their families. Private breast cancer clinic offering immediate daily access to a One-Stop Breast Diagnostic Clinic for both insured and self-pay patients. We have worked with CK Dental in Bristol for many years providing ongoing content management and they recently asked us to produce a one-page website to promote a new aspect of their practice – general anaesthetic dentistry.